Thomas Lowell Edwards’ sculptures are formal investigations that began by exploring the departure from pottery’s utilitarian role throughout human civilization. These works grow in complexity through scale and subtle tensions built into every individual piece. In his sculpture, pottery serves as a placeholder, a metaphor for human interaction. The central core, the initial inspiration, of his sculpture is the diminishing level of connection our culture actively pursues. Edwards received a BFA from the Appalachian Center for Craft at Tennessee Technological University in Cookeville, TN and his MFA from the University of Nebraska–Lincoln. Edwards has traveled to Jingdezhen, China as a Windgate Fellow to be an artist-in-residence, and he has also received the Baden-Württemberg Stipend for Vocationally Qualified People to participate in an internship program in Germany. 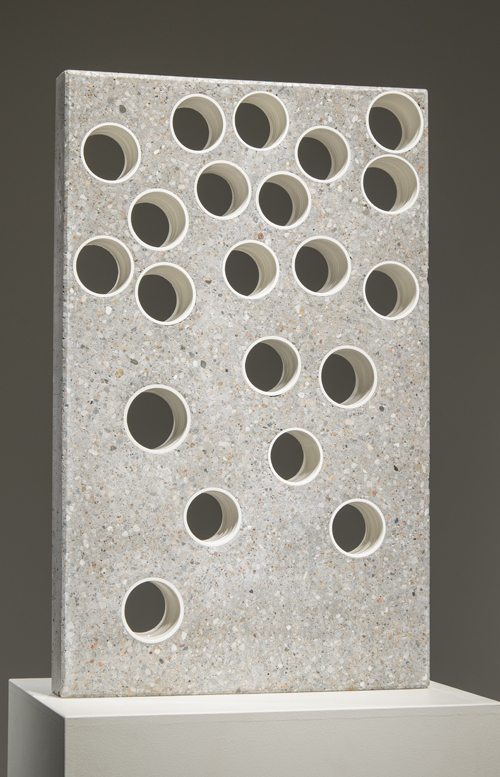 Edwards has exhibited his work in the Future Now at the Frist Center for Visual Arts (Nashville, TN), the Ceramic Top 40 | 2013 (Kansas City, MO) and the 5th Annual Beyond the Brickyard at the Archie Bray Foundation for the Ceramic Arts (Helena, MT). His work was also selected for the Clay Studio National held in Philadelphia, PA. Edwards was also selected as an Emerging Artist by Ceramics Monthly for its May 2014 international publication.